After Sony’s success with MLB 09 in 2009, “The Show” became one of the highest rated sports games ever made. Almost overnight, MLB: 09: The Show became the new hallmark of baseball games and sent the 2K series to off to warm the bench. 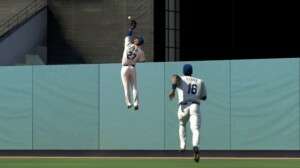 Major League Baseball’s spring training is in full swing and that means the season has begun for MLB 10: The Show. 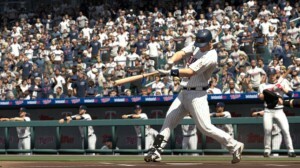 Does MLB 10 continue the winning tradition or strike out trying? In 2008, something changed at SCEA. Sony San Diego Studios decided it was time to create a PS3 Exclusive powerhouse sports title. MLB 08: The Show was released and threw baseball fans some heat. The Show series began on the PS3 with MLB 07, but it was largely unimpressive and lacking key features. Something had to be done to give this franchise a boost or it would have been likely been lost in the halls of mediocrity. 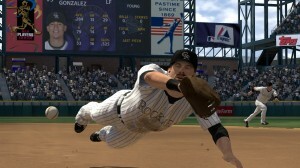 MLB 2008 was totally reconstructed and given a massive face-lift and started a tradition of excellence in the series. Instead of drastically changing the formula, San Diego Studios mostly improved upon the fantastic system already in place. After all, if it’s not broken, then why fix it? The Show series strives on being the most realistic baseball simulator series available and this year is no different. One of the most important factors of any sports game is the presentation as well as the details and this title has it in spades. You will not find another sports game that integrates so well with the sport. Batters will reach down and grab a handful of dirt to get a better grip on the bat. Every crazy batting stance is accounted for. San Diego Studios even claims this whole ‘ordeal’ is in the game. At one point my relief pitcher dropped his glove as he approached the mound to take place of the starting pitcher. While something like this can easily be overlooked, I’ve never seen so much polish in any sports game and the results are impressive. San Diego Studios, along with the power of the PS3, have crafted such a great baseball experience that it’s not fair to compare them to the competition, they simply aren’t in the same league. No other studio comes close. Everything from your fellow Home Run Derby contestants laying in the grass, to rendering every person in the stadium, MLB 10 ‘shows’ the power of the PS3 like no other sports title can. If you’ve played the MLB: The Show series over the past few years, then you are familiar with the core feature: The Road To The Show, or RTTS for short. Create your player, get drafted, and then have to make your way up to the Big Leagues. Along the way you will improve your skills and prove yourself to get a chance to play in the Big League! The team at SDS implemented the feature to call the game as the Catcher in RTTS, so I naturally gravitated towards this new addition to the mode. Anyone that has ever played baseball at any level has dreamed of playing Catcher. The great news about the ability for calling the game: it’s a lot of fun! I actually had more fun calling the shots than going to bat. Very edge of your seat, ‘what am I going to call to get this guy out?’ fun. Calling a fastball on the inside and having a batter think it was going to be a ball and it turns out to be a strike is invigorating. This feature, unfortunately, is not without its problems.